We want to let you in a little secret. 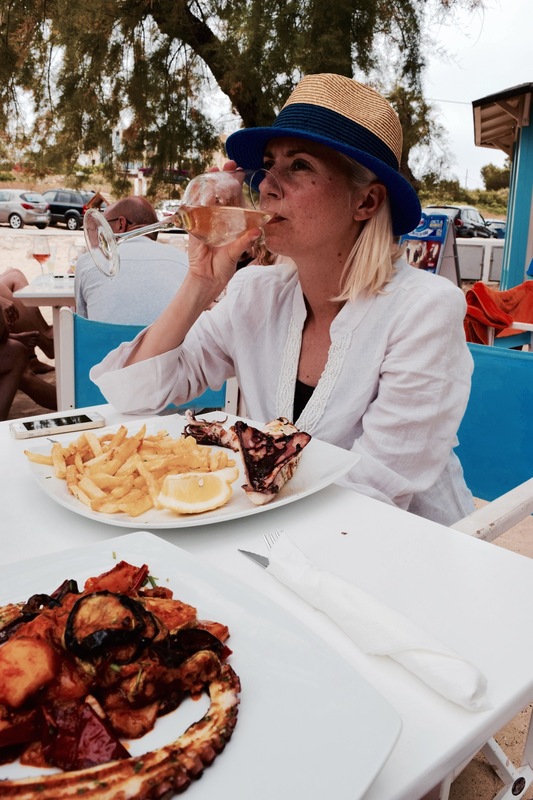 There is an amazing Chiringuito in PortoColom just across the harbour. S'Arenal Gran despite it's name is not a large beach at all, although it's the larger of the two beaches in this little village. Most people come here to rent a boat, walk the harbour and eat at the many restaurants by the little shops. Stop! Don't do it! 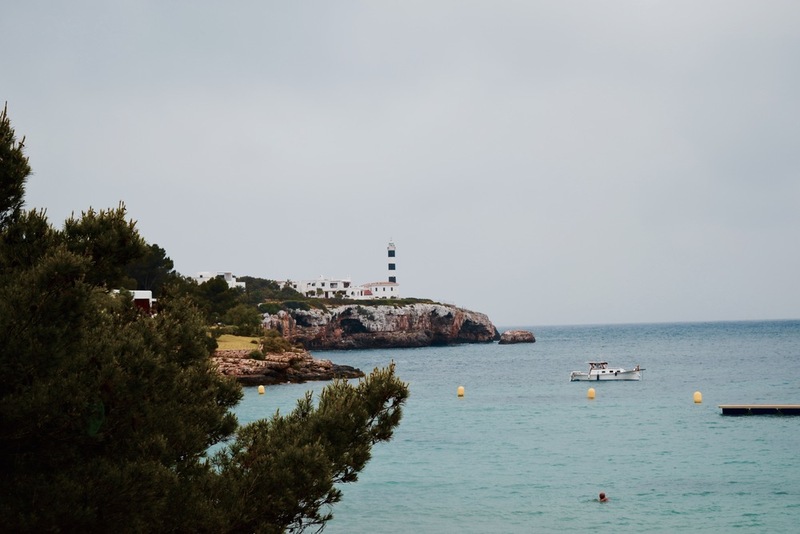 Get back in your car and drive through the village past another smaller harbour where all the Llaüt are docked and drive until you see a small patch of beach. There is a bar on the sand of S'Arenal Gran and one on the rocks between the two beaches. Go for the sand! There is only one true way to order, and it's to look at the front of the bar for a chalkboard that lists it's Fish Specials. This is what is fresh, but pay attention to the number after the item, this tells you how many portions are left! We arrived slightly late and ate the last Puplo dish, but were disappointed to find out the Gambas were already sold out! You have your choice of having the dish come in two sizes, a small portion or a full sized meal. We opted for the Calamar a la plancha with patatas (in this case they were handcut fries) and the Pulpo with tumbet! Both were exceptional and we decided to pair or meal with a cold bottle of Albariño. 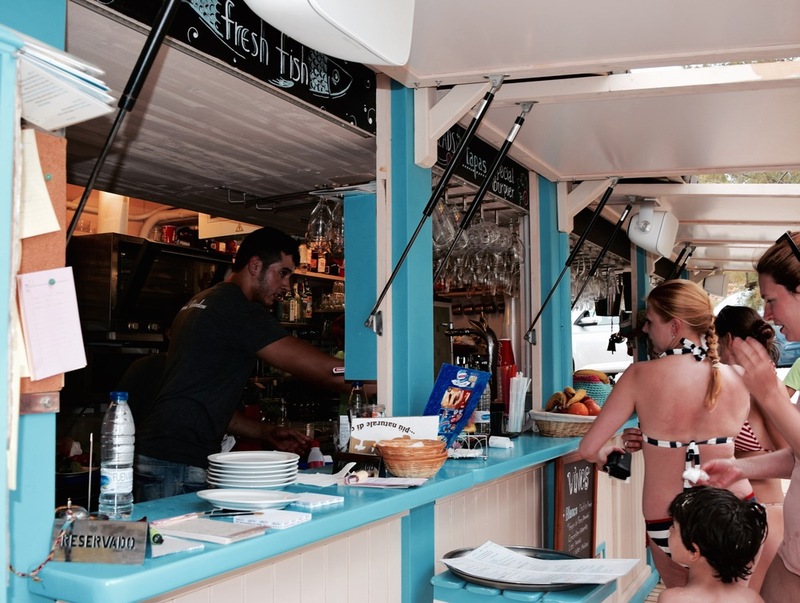 This was truly the perfect Chiringuito experience! Whatever you order, don't miss out on the tumbet, might have been the best I've eaten on the island!